Here in Perth we have a Mediterranean climate with hot, dry summers and clear blue skies for 70% of the year. The extreme heat during our Summer months can have a negative effect on the comfort level of your home if it’s not managed correctly. It is also the time of year when power bills can surge in an effort to keep our homes cool. Infact approximately 40% of overall household energy use is for heating & cooling making them the largest energy user in the average Australian home. The best way to cope with the heat in Summer and keep your house cool, while saving on your electricity bills, is to be prepared for it! 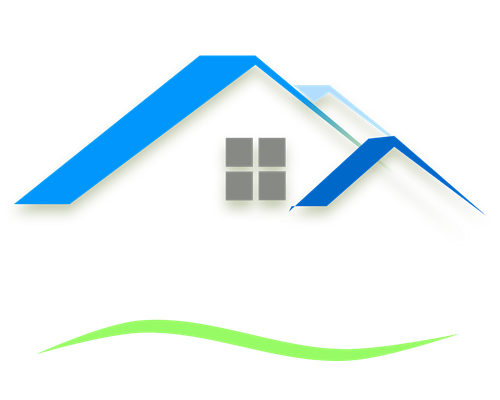 Having good quality roof and wall insulation is essential. Adequate insulation will keep cool air in your home and hot air out, reducing the amount of energy needed to cool your home. On the hottest Summer days the temperature in your roof cavity can reach up to 70 degrees! Without proper roof insulation this heat is transferred through the thin layer of ceiling into your home. If you live in an older house where the insulation may have become compacted and less efficient consider having it checked and replaced. 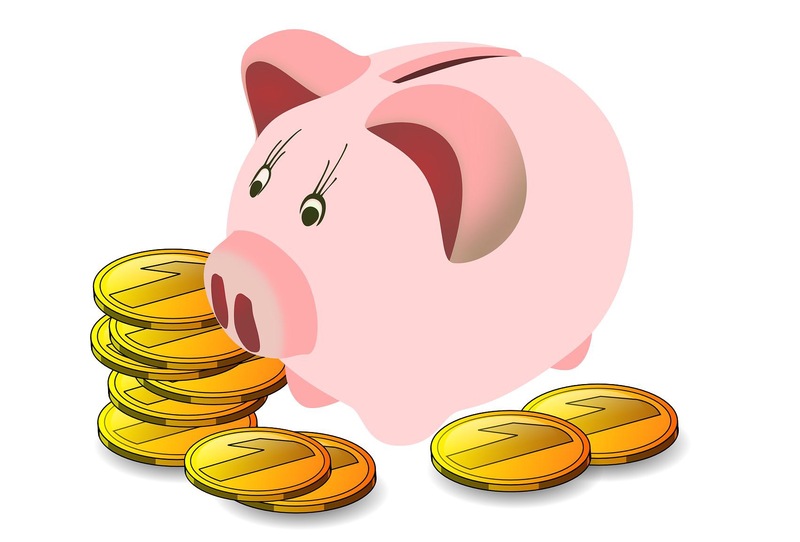 The better insulated, shaded and draught-proofed a house, the cheaper and less often an air-conditioner needs to run. There is rarely an Australian home without air-conditioning. But there’s no point in having air-con if it’s not running efficiently. Inside your home, wash or vacuum cleanable filters and replace disposable ones. Outside, clear leaves and other debris away from vents or exhausts and hose off any accumulated dirt. Have your air conditioner checked annually by a professional to ensure it’s in good working order. Do this in October or early November to ensure you aren’t caught out on the first seriously hot day of the year! Consider putting a timer or programmable thermostat on your air-conditioner. Leave it on a higher temperature while you’re out then set it to cool the house half an hour before you return home. We can get a bit comfortable with popping the air-conditioner on and then letting it run for the evening. But the truth is, it can often be shut down hours before we normally do it. And this is especially true in Spring when the temperature at night really drops when then sun has gone down. So set the timer to 7pm, you’re not only helping reduce harmful emissions, you’re also saving on your next energy bill, since one degree cooler on the thermostat can mean up to fifteen percent higher electricity charges! Set the thermostat to 18–20°C in winter and 25–27°C in summer. The hottest tip to keeping your house cool is to cover your windows as this is where the majority of heat enters your home – especially windows that face directly into the sun! 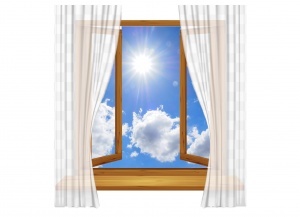 This includes inside coverings and if possible, you should cover the outside of your windows too. Inside coverings will stop some sunlight getting through but unfortunately won’t do much in terms of keeping the heat out of the house. Outside coverings will stop the heat from reaching the window in the first place which is the best plan of attack. 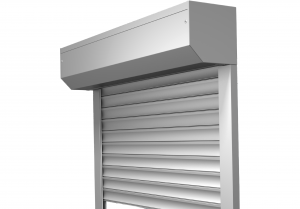 All OzShut Roller Shutter slats are injected with an insulating material called Polyurethane. 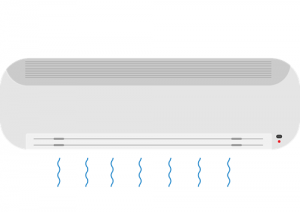 This prevents the transfer of heat into your home by up to 90% – far more than any other window covering option! Another simple but effective tip, to retain cool air and reduce costs and power consumption, is to shut the doors to areas that get the hottest and stop the heat spreading through the rest of the house. Be sure to open the house up in the cool of the evening to let the heat out. It’s also a good idea to shut off any air conditioning systems in the unused rooms, such as spare bedrooms, if your system allows you to do this. Avoid unnecessary trips in and out of the house. 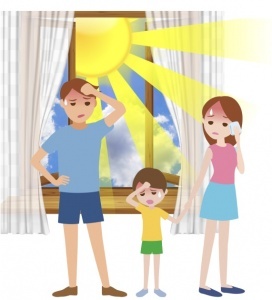 Heat and humidity come in each time you open the door. 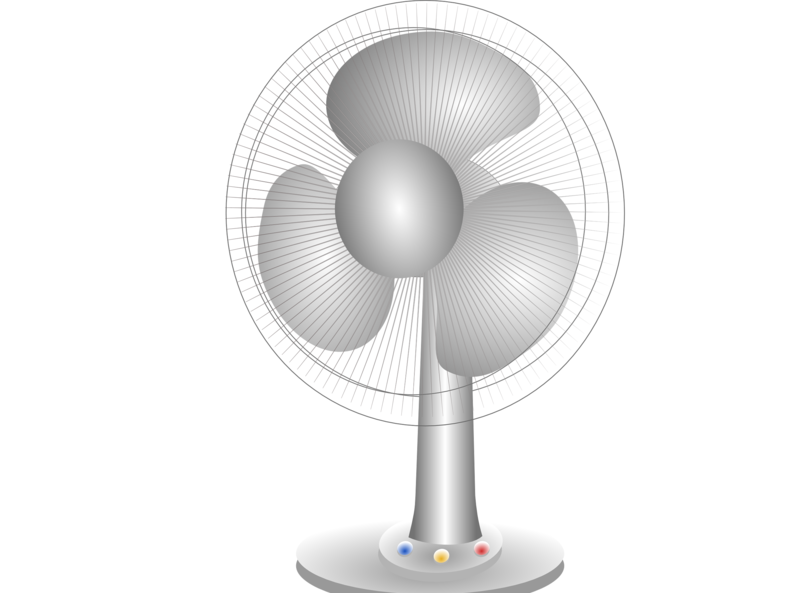 Fans are really energy efficient so it’s worth trying the fan first to cool the room. Try using the fan in conjunction with your air conditioner to help spread the cool air around the house more effectively. Consider installing ceiling fans. On moderately warm days, a ceiling fan may be enough to keep you comfortable. On warmer days, you can decrease your air conditioner use by using a fan. Typically, the air flow created by a fan provides a similar improvement to comfort as reducing the temperature by around 3°C. If using a box or pedestal fan, placing a bowl of ice-cold water in front of it will create a chilly breeze. Be sure to clean the fans before their first use after being idle all Winter! Whether it’s a ceiling or pedestal fan, it is likely to be covered in a layer of dust which can kill the efficiency of the fan – and being showered with dust can’t be good for you! 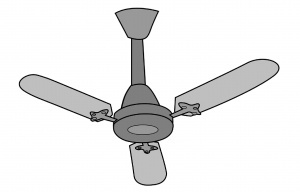 Did you realise your ceiling fan is designed to rotate differently depending on the season? 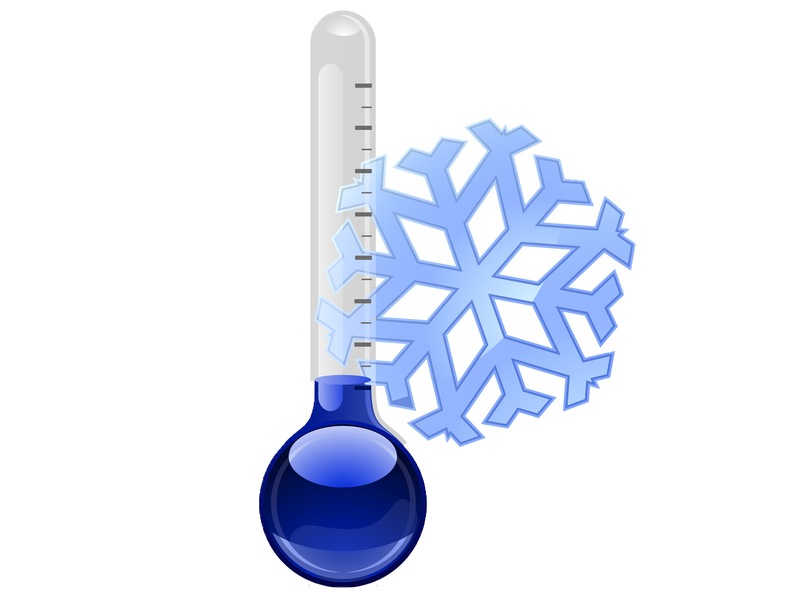 In Winter months, it should rotate clockwise to help distribute heat that’s risen. In the Summer though, you should run your fan anti-clockwise at higher speeds so it’s pushing air down and creating better circulation.Check to see which direction the fans in your home are moving, and, if necessary, hit the small black switch near the base to change directions. Don’t try to cool the whole house, just focus on the room/s you’re in. This is going to save you major dollars when that bill arrives. Make the most of cool night breezes and open bedroom windows once night falls to let cool air in and hot air out, ready for when you go to bed. 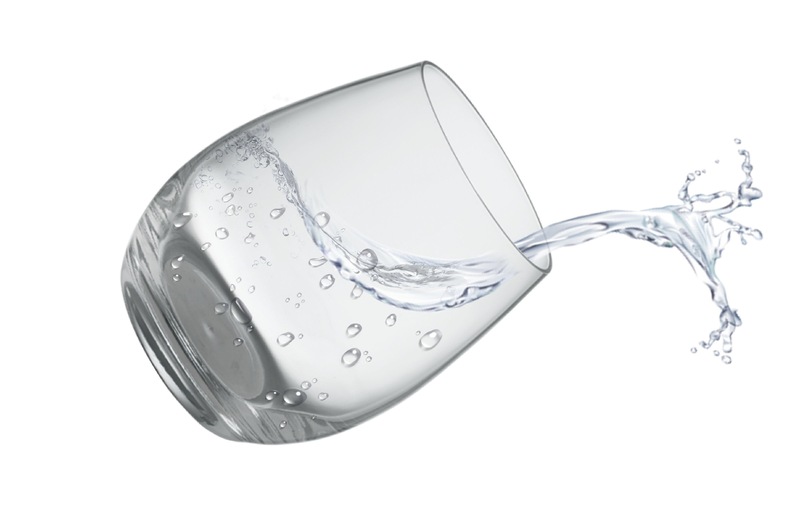 When the temperatures high wear light clothing around your house and stay hydrated by drinking plenty of water. Try placing a cold cloth or two on your body and change your bedding to a lighter, breathable fabric. These things cost you nothing yet can make you more comfortable and keep you from reaching for that costly air-conditioner! Fix shade sails, purchase an umbrella or replacing missing roof panels in your outdoor area to ensure you have appropriate shade from the harsh summer sun. 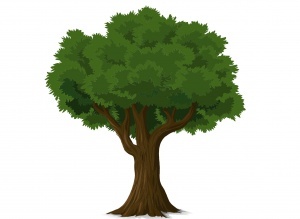 Plant some fast-growing trees and shrubs near your home to provide shade. Cook and eat outside, especially in the early evening when temperatures have dropped but daytime heat has not yet been allowed to escape from the interior of the house. Cooking outside during hotter months reduces heat loads inside. The extreme heat of the Summer month’s in Perth can bring some of the highest energy costs of the year with the high demand for air-conditioning. Keeping your home comfortable can be expensive. Consider investing in some long-term cooling solutions that will continue to provide your home and family with benefits year after year. Insulation – This is an essential way to keep your house cool in summer but also warm in winter, all Australian homes should invest in roof and wall insulation! Colours – Opting for bright/light colours on your exterior walls and roof will help reflect the light rather than dark colours which absorb heat. Windows – If you are building or renovating choose windows that let the air move freely into and out of the house rather than small ones. Good Quality Air-Conditioning – look for a system that allows you to control different rooms/sections of the house separately as well as set a timer to help reduce overall useage and energy costs. Window Roller Shutters – Most of the sun’s light and heat enters the home through the glass of your windows. Roller Shutters are the best option help to stop the heat getting into the house in the first place. They are injected with an insulating material that is able to block the transfer of heat by up to 90%!! This also has the added benefit of saving you 30-40% on your air-conditioning bills. With their ability to block out even the brightest morning sun, up to 50% of outside noise, complete window security as well as increasing the overall value of your property, OzShut Roller Shutters are a smart investment for any home. Stay up to date with OzShut’s latest news, events, promotions and competitions by subscribing to our email list.